Our Computer Aided Engineering services are geared to meet the challenges and needs specific to the automobile industry. Through our specialized services we reach out to auto ancillaries, OEM suppliers, aftermarket manufacturers and other clients from the automobile industry seeking expert services which can enhance performance. Our goal is to impart end-to-end solutions for vehicle and its sub-systems, right from concept generation to post-manufacturing through Computational Fluid Dynamics (CFD) and Finite Element Analysis (FEA). At Hi-Tech, we deliver CAE solutions to optimize existing automobile design in terms of fuel efficiency, performance, sustainability, cost effectiveness and manufacturing feasibility while ensuring least environmental footprints. Read more for further information on our CAE services related to automotive body. Read more for further information on our CAE services related to automotive chassis. Read more for further information on our CAE services related to automotive powertrain. Read more for further information on our CAE services related to automotive interiors. 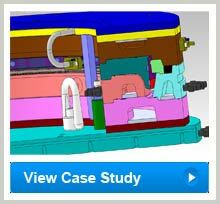 CFD and FEA engineers at Hi-Tech utilize commercial analysis software like ANSYS, Abaqus, HyperMesh and Star CCM+ as well as CAD software like Autodesk Inventor, PTC Creo and SolidWorks. Moreover Hi-Tech frequently updates its infrastructure and software capabilities to handle complex automotive CAE problems.